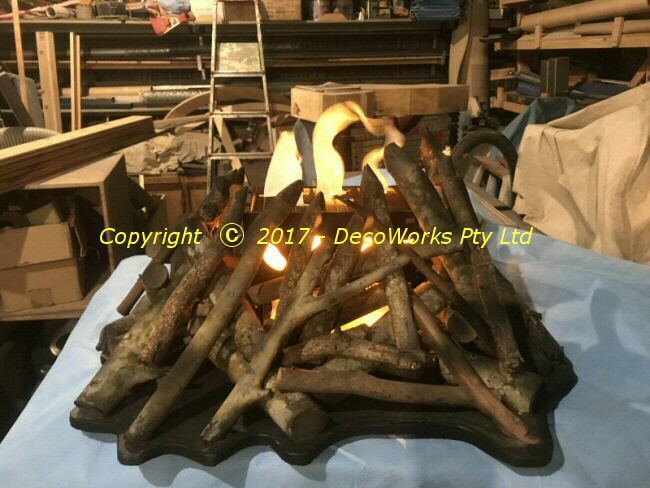 This silk flame campfire prop was made for a theatrical production that needed a safe but realistic campfire effect onstage. Real pieces of timber were arranged around a circle leaving a space in the middle to accommodate a rectangular light box. The light box was made from ply with several non-symmetrical holes cut in the sides with orange gel glued over them. 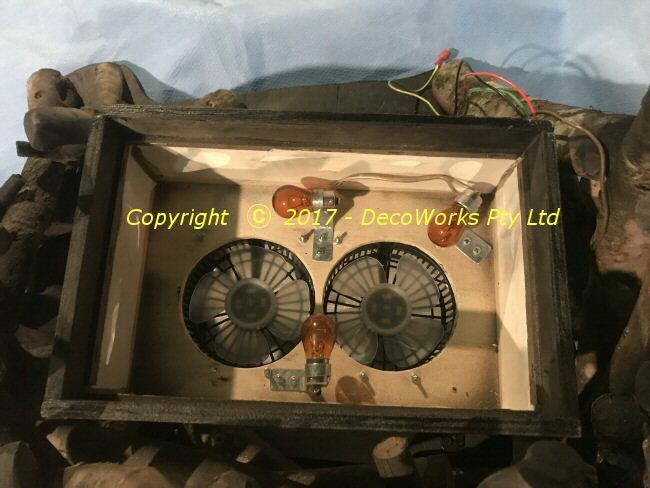 Two small electric fans were mounted in the bottom of the light box along with three amber 12V automotive stop lamps mounted on the inside of the box. Three layers of 10mm egg crate diffuser was fitted on the top of the light box to stabilise the airflow and to provide a platform to mount the silk for the flame effect. Two of the 12V lamps were connected to a flickering candle effect so their intensity varied over time. The fans and lamps were run on a small 12V 9Ah battery. A long lead with a switch was used to control the campfire when it was on stage. Below is a brief video of the silk flame campfire in operation. 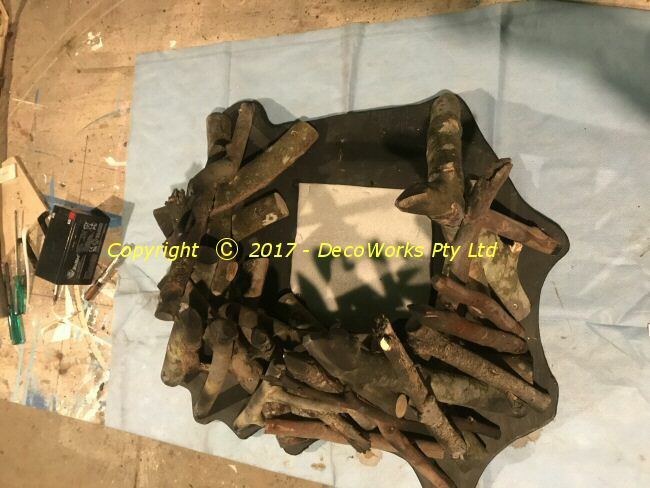 This entry was posted in Projects, Prop Making and tagged lights, props, theatre. Bookmark the permalink.